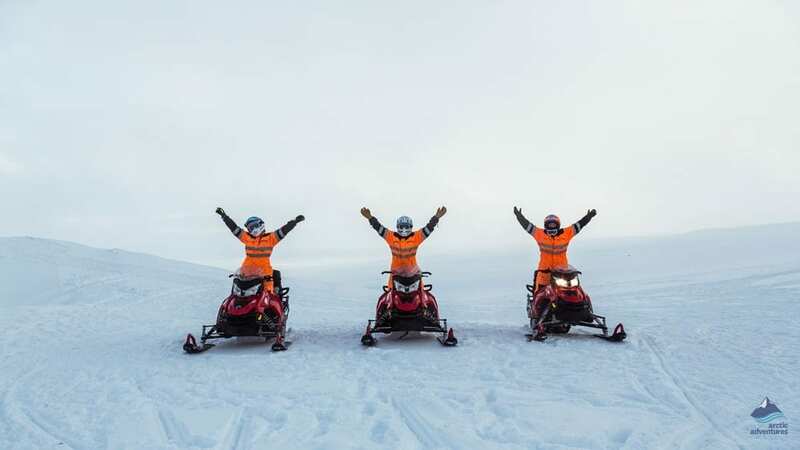 This exclusive tour will set your adrenaline flowing with an exhilarating snowmobile tour on the second largest glacier in Iceland, journey into the South Icelandic Highlands – and more – you decide! 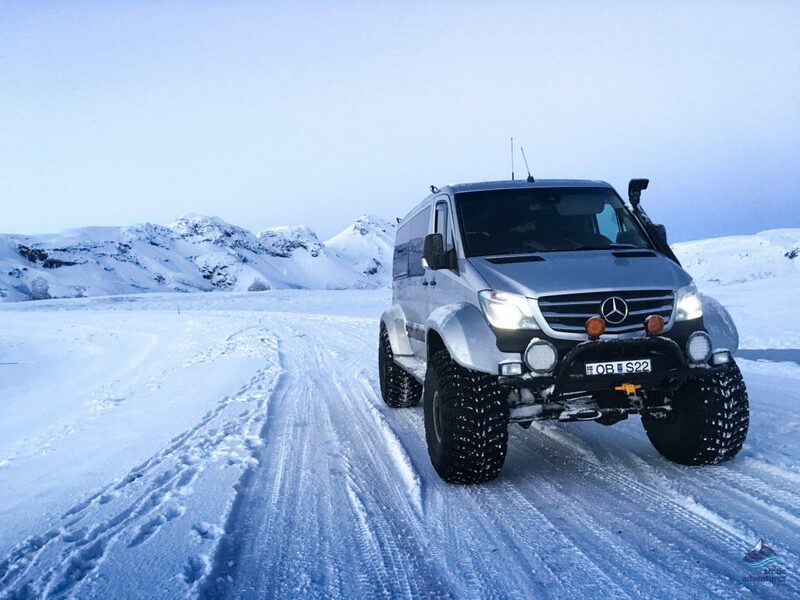 We pick you up at your chosen location, or you can meet us at Gullfoss Waterfall or at our Langjökull Snowmobile Base Camp. If you want to you can even spend the night way out in nature, surrounded by colorful rhyolite mountains with a hot spring bathing pool at your side. You are picked up at the arranged time in Reykjavík or at another location. If you prefer you can meet us on location at the car park at Gullfoss Café or at our Langjökull Snowmobile Base Camp. Along the way your guide will share with you lots of information about the areas you are passing through. Whatever your start point you will pass through really sensational and varied Icelandic scenery on your way up to our snowmobile base. Of course, we stop at any places you have chosen to include in your itinerary! Your snowmobile guide will provide you with an insulated suit, safety helmet and a powerful Lynx Adventures 600 CC or Polaris IQ LXT 550 CC snowmobile. A few snowmobile operating instructions and you are away on your spine-tingling and goosebump raising adventure. This is a truly mesmerizing trip which can be amazingly exhilarating or more serene – with a private tour you get to choose. There is no better way to explore the stunning white majesty of Langjökull, the 2nd largest glacier in Iceland. This icecap covers 953 m2, and rises to 1450 m, higher than the magnificent mountain peaks in the area. You will have the trip of lifetime! Depending on the start time and location and any extra sightseeing or activities you have chosen your return will be some time between late afternoon and late evening. Why not join us for a night in the wilds of the Icelandic Highlands at Kerlingafjöll? Relax in the hot spring pool as amazingly colorful rhyolite peaks mystically frame the horizon. There is nowhere better to enjoy the bright Icelandic summer nights. In winter, so far from city lights, on a clear night the stars shine unbelievably bright, as soft clouds of steam waft from the surface of the water. If your northern lights luck is good, the magical aurora might paint the sky. A valid driving licence is required for all snowmobile drivers. 2 people to each snowmobile, or arrange to ride solo if you prefer. If I have never driven a snowmobile before, can I still participate? You do not need previous snowmobile driving experience. Your guide will provide easy to follow operating instructions. However, you do need a valid Driving License if you intend to drive. If there are two of you, only one of you needs to bring a Driving License but if you both bring one, each of you can take a turn at driving. 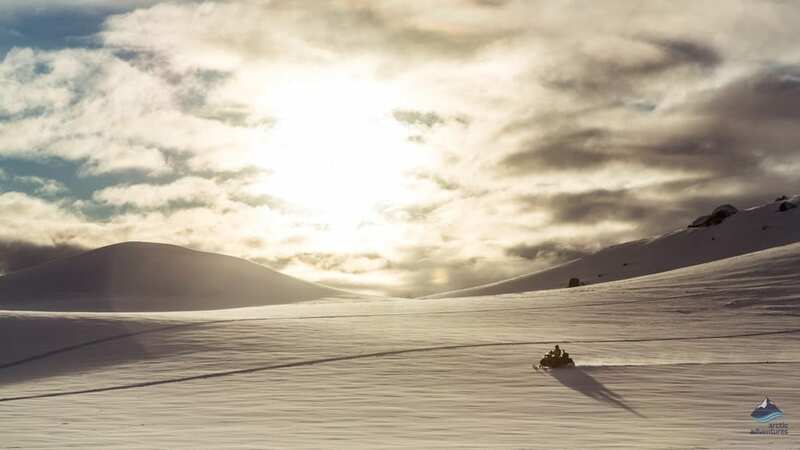 Can you go on a snowmobiling tour in the summertime in Iceland? Yes, you can. The plus side to being a cold country is that our glaciers are here all year around and we can go snowmobiling in every season. Are there any weight restrictions for the snowmobiling tours? We don’t exactly have a weight restriction but participants need to be able to fit in our winter overalls. The largest size we have is 5XL. As for the physical level, the tour is listed at the level moderate and anyone in average physical condition should be able to complete the tour without any trouble. Are their any places to use the toilet at the glacier snowmobiling base camp? Yes, we have toilets at the base camp where the tour starts that you are more than welcome to use before and after. Unfortunately we cannot offer any bathroom breaks during the tour itself. 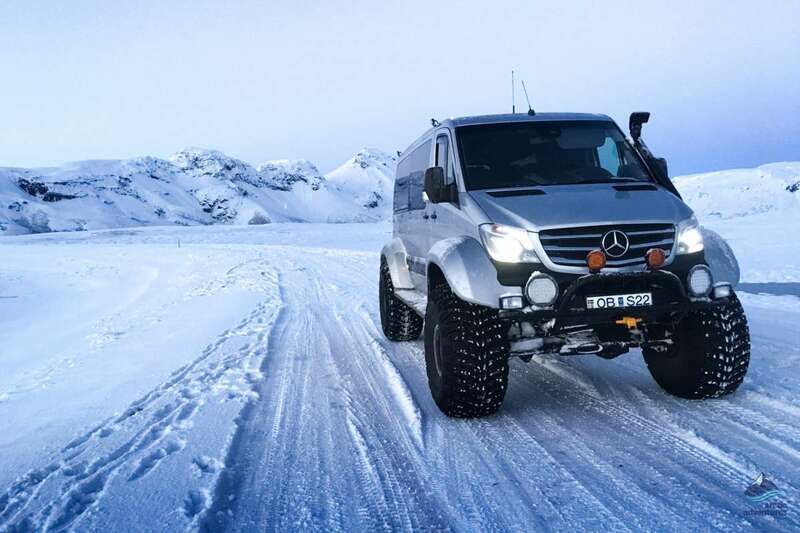 What clothing is provided for the snowmobile ride on Langjokull glacier? We provide you with an overall, a balaclava, goggles, gloves and a helmet. This Equipment is all included in the price of the tour. What do I need to bring for my snowmobiling ride on Langjokull glacier? First and foremost warm clothing. Upper body: Thermal shirt and a fleece or a thick sweater over. If you get easily cold, also thermals. Shoes: It’s best to wear boots as it’s pretty cold on the glacier and they can get wet. NOTE: You need to bring a lunch or some snacks. Lunch is not included in the tour. I am traveling by myself, do I need to pay the single ride supplement? Yes, if traveling solo you will need to purchase the single ride extra. Is there an age limit to go snowmobiling on Langjokull glacier? Yes, there is, safety is always our number one priority and after looking closely into this the age limit was set to 8 years, of course in company with a guardian. I'm pregnant, am I able to participate in one of your snowmobile tours? Due to safety reasons, we do not recommend women that are already 3 months pregnant to participate in our snowmobile tours.